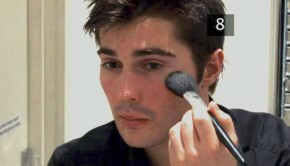 We have said in many articles that you can use your finger to Apply Makeup. Which finger should you choose? Yes, your ring figure is the proper choice. It has the lightest touch, so it’s good for applying makeup and skin care to spots area, especially for your eyes where is most tender and deserve your special care.